Kumar Vishwas (AAP) has done the title track shared the stage with Raj Babber & Raja Bundela-all for 3 different political parties. 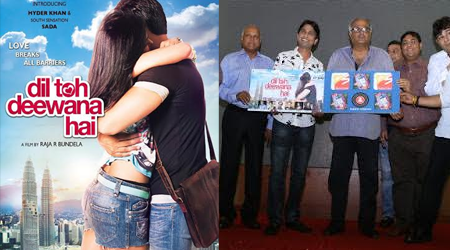 The music release function of Director Raja Bundela’s “Dil Toh Deewana Hai” was held at the the view, Andheri (west) today 31 May 2016. Kumar Vishwas fo AAP has penned down the lyrics for the title track of the movie. He was present at the event and shared his experience in the film.